Now that we have created a good personal profile, it is time to get social on Pinterest. I believe Pinterest is part search engine and part social. It works on keywords however at its heart it has strong social base and collaboration is the essence of this platform. You might have a fantastic profile, but you will not reach beyond a certain tipping point till you collaborate with others for pin virality. Just like you can create a board, you can also have a collaborative board where you can add members who can contribute to your board. Such collaboration helps in multiple ways. The most obvious, it helps keep your board busy. You are not solely responsible for adding new pins. Your board has a lot of interesting content and you can always refer there for ideas and interesting reads. You are the owner of the group, hence the ultimate control lies in your hands. All the other members are followers. Apart from the fact that you can create a group board of your own. It is possible and necessary that you join others group boards. You can either be invited by the owner of the board to join their group board or you can mail the group board owner to be added in the group. You get a notification confirming if you wish to be added in the said group and once you accept it you can start pinning to that group. When you join a group board, your pin has the potential to be exposed to a lot many people than just your followers. When you add a post to a group board and if the rules of the group suggest others to pin from the group, then your post is also visible to their followers. As Group Boards are usually around a common topic, joining the group boards will help you gain more followers. 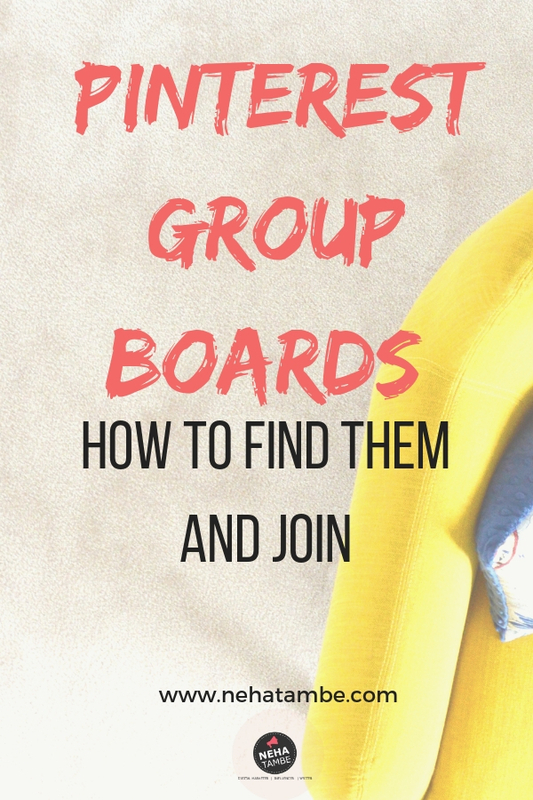 There isn’t a separate section on Pinterest for Group Boards, however it is easy to spot a group board in search. While normal board profile image has a single picture, group boards profile image is a collage of various contributor images. Here you will see the group profile, their rules, tips on how to connect with the owner and the number of contributors + pins. Joining a group board is pretty simple. You can approach the owner on a Pinterest message or send them an email if they have mentioned the same in the group description. Usually if a group is not accepting contributors currently, they will mention the same in the description. Send an email or a message with your Pinterest profile link, your name and your email id which is used for creating the pinterest account. It is considered good etiquette that you follow the group owner and the board you wish to be part of before you send a message for addition. Tip – Remember that when you follow a pinner, you will automatically follow all the boards that he or she has created. However you won’t be following the boards that the person is a group member of. I too have recently started two group boards which are open for collaboration. All serious pinners or those interested in pinning regularly are welcome to join the board. Do check out the boards and if you think it is good for you, send an email to me and I will add you in the group! It is a very informative post and I am going to join some board groups to increase my Pinterest reach. Wonderful info here. Will be following you for sure. thanks for the tip i’ll try and join relevant boards to increase the reach of my profile. Pinterest is a little unexplored area for me, but your post has important information about the same. Thanks for sharing. 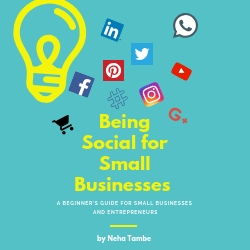 I was so lost about Pinterest as Social media Tool .Thanks for sharing such valuable and handy tips !